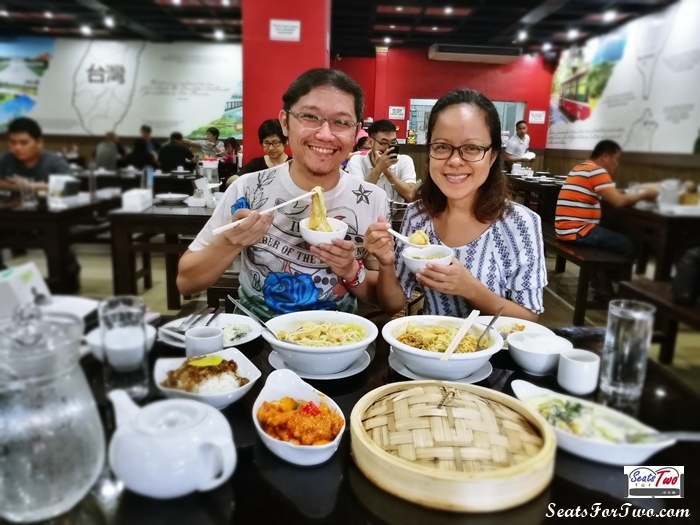 Our go-to Taiwanese restaurant in Manila – Tien Ma’s – has added new and exciting dishes highlighting well-loved soup recipes from Asia that matches the cold weather this rainy season! Tien Ma’s has just added two new soup favorites that represent some of Asia’s best in their newly-designed menu. Starting with Laksa, a popular Malaysian dish with vermicelli / noodles, chicken, shrimp, shrimp balls, served in a creamy hot soup. The second soup offering is Tom Yum, a popular hot and sour soup from Thailand. Both iconic dishes are now exclusively available at Tien Ma’s Retiro / NS Amoranto branch. These two hot soup offerings will perk you up with a spicy kick anytime of the day! Both wary of the spicy sting, Mr. and Mrs. Seats For Two were glad that the restaurant accommodated our request to moderate the level of spiciness. Our readers know that our tolerance for spicy food is not that high; but we have faith in Tien Ma’s so we pursued this endeavor. 🙂 We’re glad that it came out with the “just-right” level of spiciness for our taste buds. 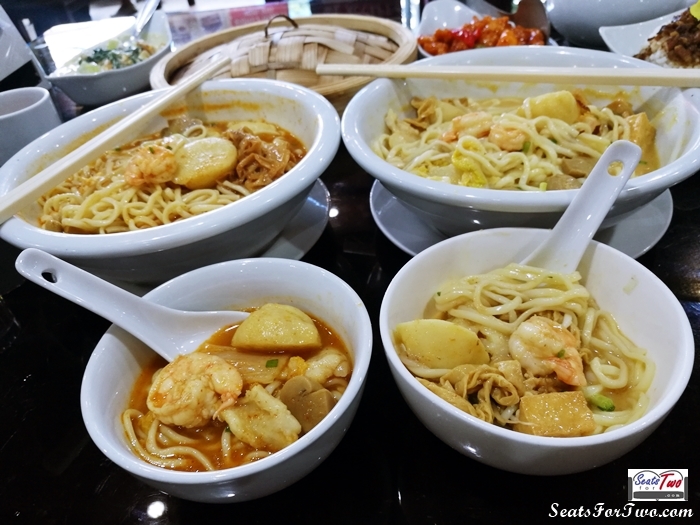 We have visited Malaysia a number of times already and Laksa lovers would know that there are different kinds of Laksa. This one from Tien Ma’s is the curry-like Sarawak Laksa which is a pleasantly flavorful version with lots of ingredients like mushroom, fish balls, chicken, and veggies. On the other hand, the other bowl of Tom Yum soup is just as good! 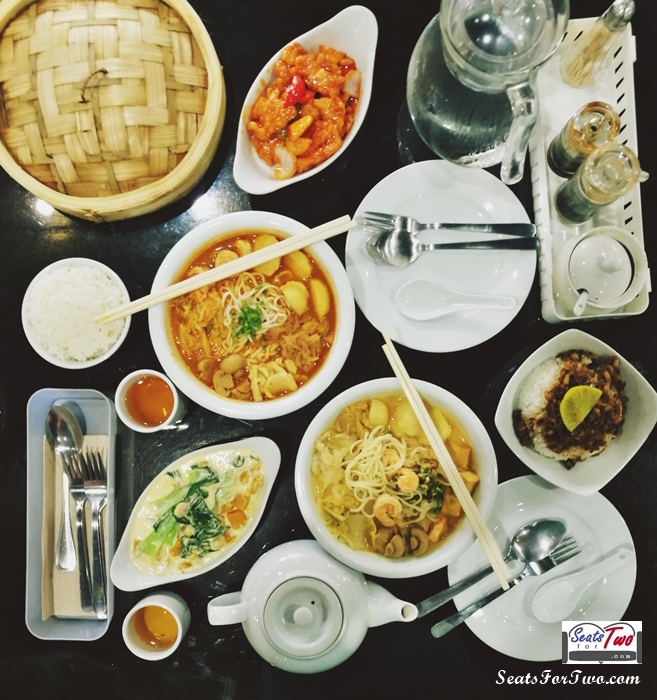 We don’t frequent Thai restaurants and we haven’t been to Thailand so we can’t say much about how close it comes to the authentic Tom Yum by the Thais. 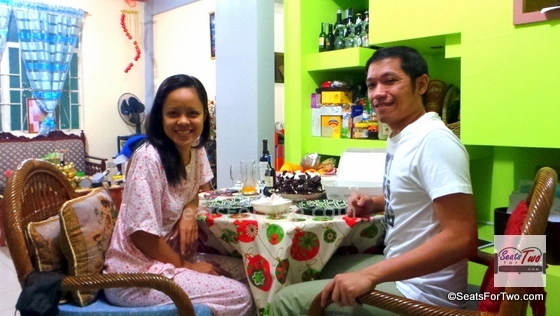 Nonetheless, we enjoyed what we had! Both the Laksa and Tom Yum noodle soups were creamy and comes in generous servings. Each bowl can be shared by 2-3 persons. In fact, we were not able to finish our orders as also had a few more of their new dishes like the Taro Squash Stew (P199) and Minced Pork Rice (P60). We also ordered the all-time Chinese favorite Sweet and Sour Pork. Try the new Laksa and Tom Yum noodle soups today and visit a Tien Ma’s branch nearest you or have it delivered! Aside from Laksa and Tom Yum, Tien Ma’s also offers the new Beef Hofan (P256); we’ll try this in our next visit. 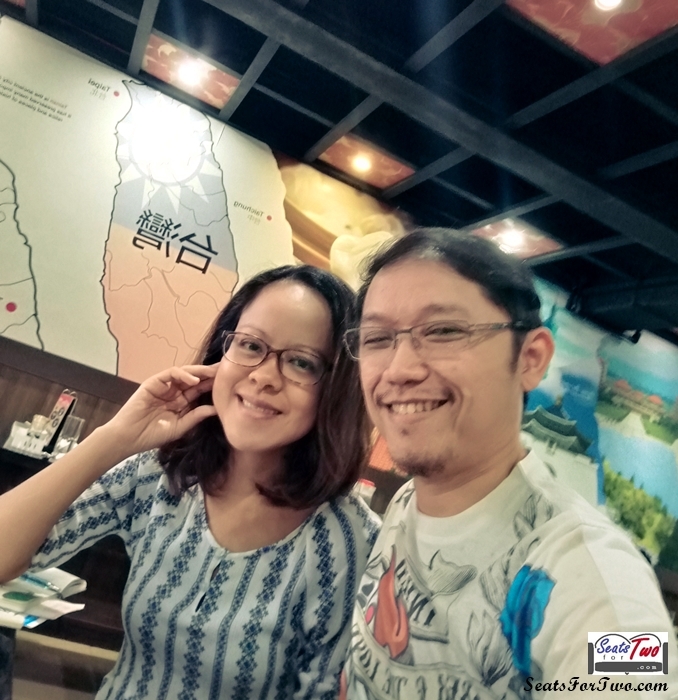 Overall, we enjoyed our Asian food escapade in one sitting, in one restaurant – Tien Ma’s!